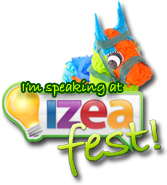 I’m attending IZEAFest 2008, Are You? Here is a list of blogs from bloggers who are attending IZEAFest 2008. If you aren’t on the list and are going please leave me a comment and I will be sure to add your blogs.